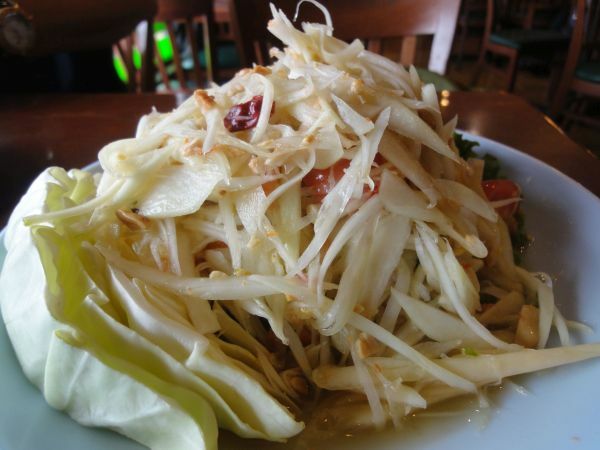 Succulent Green Papaya Salad, Deep Fried Marinated Pork served with special Yum sauce, cool sweet Chrysanthemum Ice Tea, Jade Noodles so authentic and tasty you’ll beg for the recipe…are just part of your private VIP tour experience with celebrity chef Jet Tila. If you’re a true foodie, you want the inside scoop on a specific style of cuisine. You don’t want to just read about it in a book. You want to see, smell, taste and experience it for yourself and with the best coach possible. Are you a foodie? 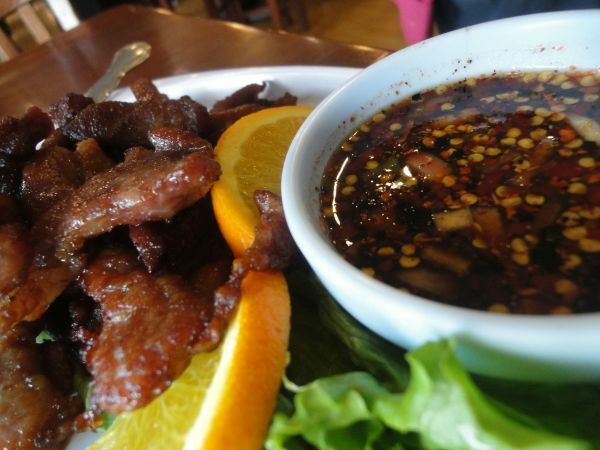 Is learning about Thai food on your bucket list? Guess what? I know exactly how you can scratch it off. There’s a very special tour available for a limited few, on limited days with some very special talent. Yes it has a big price tag, but then most great things have one. 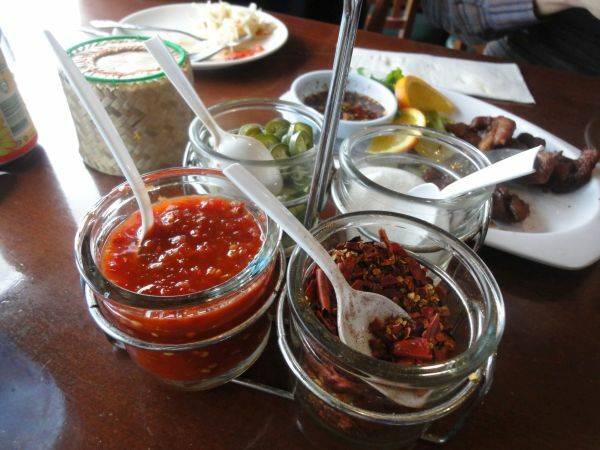 For the right price you and a guest can learn about and explore Thai cuisine and experience Southern California’s Thai Town through the sights, lives and tastes of its people. You can sample its diverse food and culture. You can meet local people and share their stories, cuisine and passion for living – like you have never thought you could. You can visit local markets and ethnic restaurants and be engaged by the sounds and sights as two continents meet on Hollywood Boulevard under the careful guidance of Chef Jet Tila and Andrew Harris. Chef Jet Tila is not just another pretty Food Network personality. He has some serious credentials. Better yet, he’s willing to share them with you on his Thai Town Tour. Who wouldn’t want to be personally guided through Thai Town by its honorary Mayor who also happens to be the Thai Culinary Ambassador to the US and the opening chef and 5 year veteran of Las Vegas’ Wynn Encore restaurant? I can’t imagine any serious foodie who wouldn’t want to get to know the chef who culinary personality and best-selling author Anthony Bourdain brought his “No Reservations” crew to Los Angeles to work with to coordinate a Thai Town segment for Travel Channel’s hugely popular “No Reservations” series. I mean if Anthony Bourdain trusts Chef Tila to provide the ultimate foodie experience for his audience, what are you waiting for? You’re going to experience the best tastes of Thai Town as carefully selected by Chef Tila. He grew up in the area. He knows the culture, the cuisine and the people. According to Chef, “There is a waiting list of restaurants who want to participate in my tour. They know I pick the best of the best. If they’re part of this tour, they’re one of the best.” He’s going to help you understand – and taste why – Thai people frequent restaurants for one particular signature dish. Perhaps the biggest strength of this tour (besides the great food) is the one- on- one access to Chef Tila. The tour guide is actually Chef Tila. He meets you, he walks with you from restaurant to restaurant, he dines with you, and he introduces you to the customs, culture and insider information you can’t get through a guide book or menu cover. He encourages questions. He’s kind of a new best friend, coach, mentor and teacher all wrapped into one. I never felt hurried. I never felt like I was bothering him. I never saw him roll his eyes or sigh under his breath. He remembered my name and my guest’s name from introduction. He asked what we wanted out of the tour. He took us from our knowledge base of Thai food (mine was pretty strong, my guest had never had Thai food before) and was able to weave an exquisite afternoon of culinary delight that met both of our expectations. A very special part of the tour happened at our first stop where he taught us how to greet and say goodbye to our hosts. We were coached how to hold our hands in the “Y” or “prayer formation” (different for men and women) and how to pronounce the Thai terms (different for men and women) for hello and goodbye. Chef also talked about each restaurant’s specialty, how to enjoy it and when to add in the ingredients from the “Wheel of Yum” to our dishes (not at first bite). I loved learning how to make a sticky rice taco, the blessing to use a fork, which restaurant had the best Thai Tea, and our infamous trip to the local market. Chef took us to the tiny neighborhood Thai market to give us a greater insight in to Thai cooking. He gathered up cooking supplies to teach us how to make our own dishes more authentic. He personally walked us around the market to find just the right tea we wanted to try. He hung out with us in the produce department answering every question we had on Chinese broccoli, Bok Choy, galangal (don’t say ginger) and fresh red chili. He even shared which Sriracha chili sauce is the right one to use in Thai dishes. I am not giving that tip out. You’ll need to take the tour to find out for yourself. A private VIP tour for two people at the time of writing this article was a flat $2,250 Fee. It is available through Melting Pot Food Tours and includes the services of Chef Jet and Andrew Harris as guides, your food and some beverages at several restaurants. This is an easy flat walking tour which takes about 2 hours or so, features easy parking, and sends you home with a box of killer desserts. Final tip. Although Chef Tila does most of the talking on the tour, the other tour guide Andrew Harris is a wealth of information and a culinary insider of rock star proportion. Absolutely engage Andrew on restaurant choices, chef information, current food trends, who’s doing what in the national food scene and more. If you don’t chat with Andrew you’ve wasted a big opportunity that doesn’t come around often. Until we meet again on the best culinary tours this world has to offer, I wish you the best in your travels far and near. To read the Luxe Beat Magazine version of this article click on the title Private Culinary Tour with Celebrity Chef Jet Tila.